Follow the base recipe making the macarons. Devide the batter into two bowls. Add concentrated food coloring to one of the bowls. Bake and cool the macarons. Sandwich the macarons. 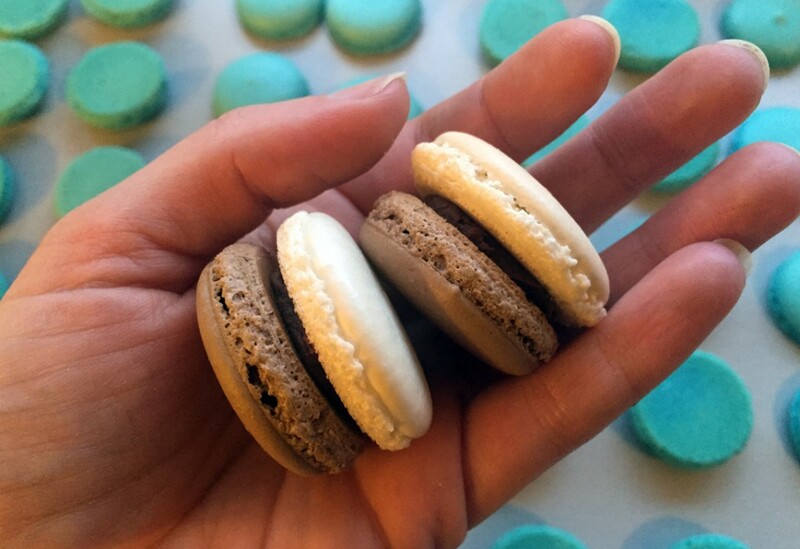 Use a teaspoon, a knife or a piping bag, whichever you prefer: turn a macaron upside down, add 1/2-1 teaspoon of the filling of your choice (se all recipes here), and press the bottom of another macaron on top of it.